A 92 unit housing scheme in Flint town centre, North Wales is nearing completion with tenants beginning to take occupation. 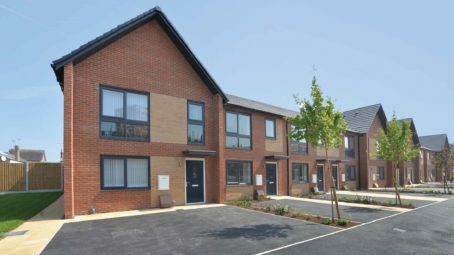 The scheme is one of a number of projects that Halliday Clark are designing for Wates Residential as part of Flintshire County Council’s SHARP (Strategic Housing And Regeneration Programme) which will ultimately see the delivery of over 500 new homes across the region by 2021. Please refer to The Walks project page for more information.